This is another UFO that was completed in 2005. This is a quilt for my bed. After many years of making quilts for others, I have something for my own bed. 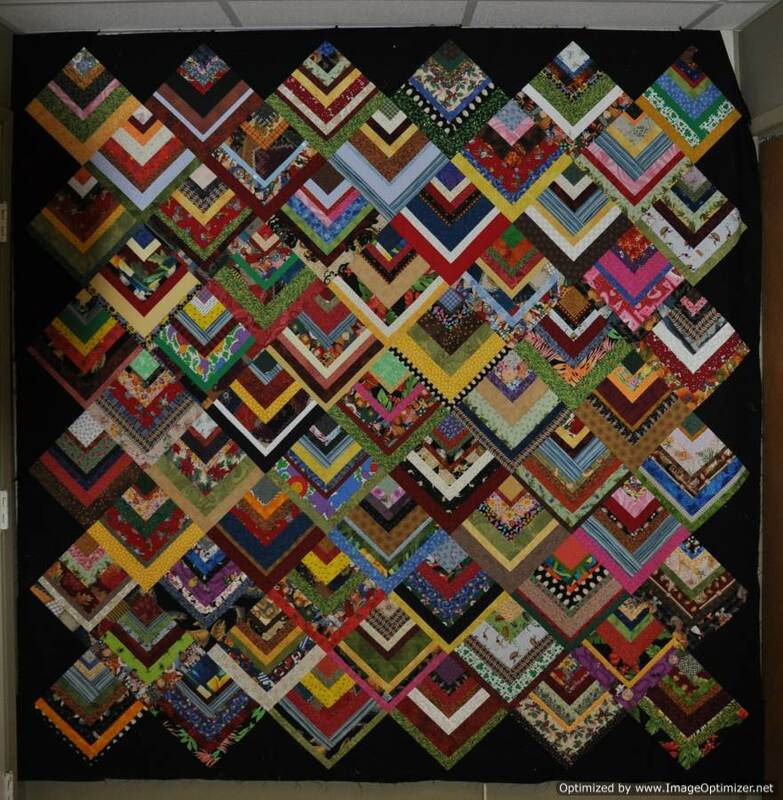 This pattern is Half Log Cabin by Sharyn Squier Craig. 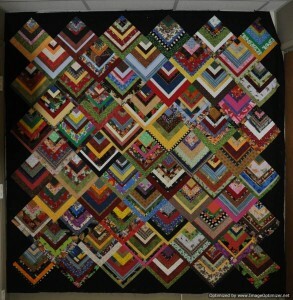 This quilt was quilted on my long arm in the Baptist Fan pattern. 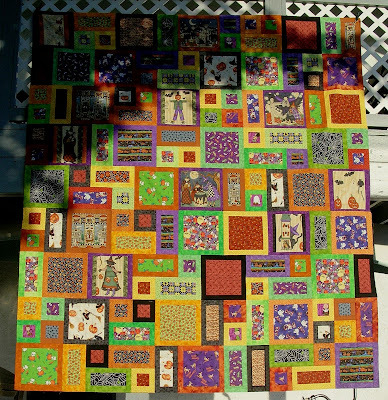 I started quilting in 1997 thanks to my good friend, Colette. 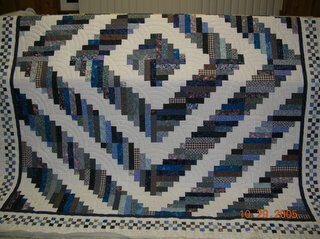 This quilt was one of the first projects that I started. After spending approximately 7 years on the UFO pile it is now put to use!